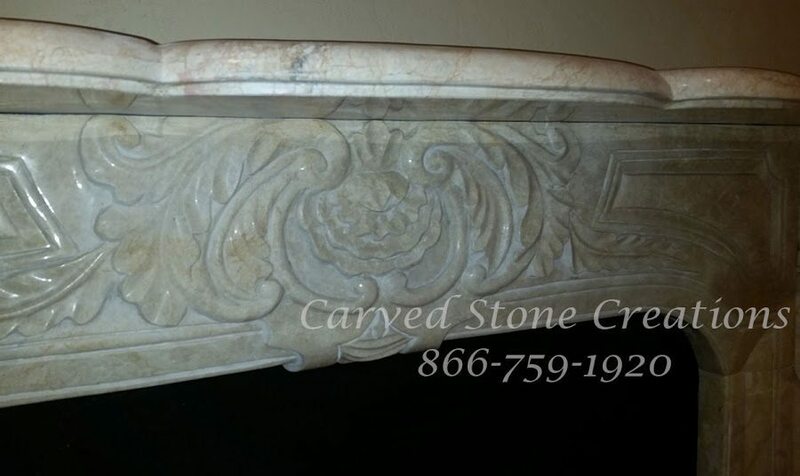 Stone is a versatile material that can be carved into many shapes. Designs can feature simple, clean lines or intricate, carved details. Fireplaces are the perfect canvas to showcase the possibilities of stone. Take a look at five fireplace designs with intricate details to spark your inspiration. This statement-making fireplace surround features lifelike floral details throughout the design. Its bowed mantel also has a carved pattern along the edge. The color of the Honed Light Oriental travertine makes the details jump to life. 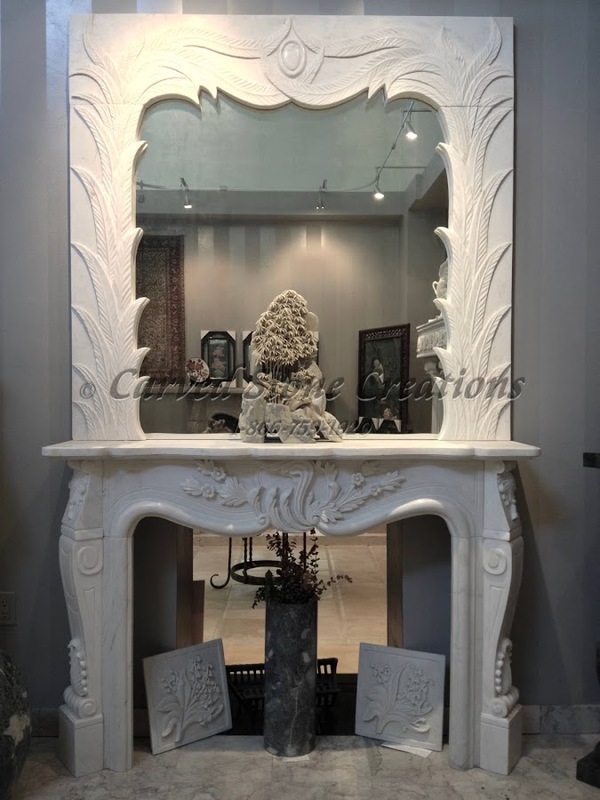 This exquisite handcarved fireplace features a matching overmantel and mirror. 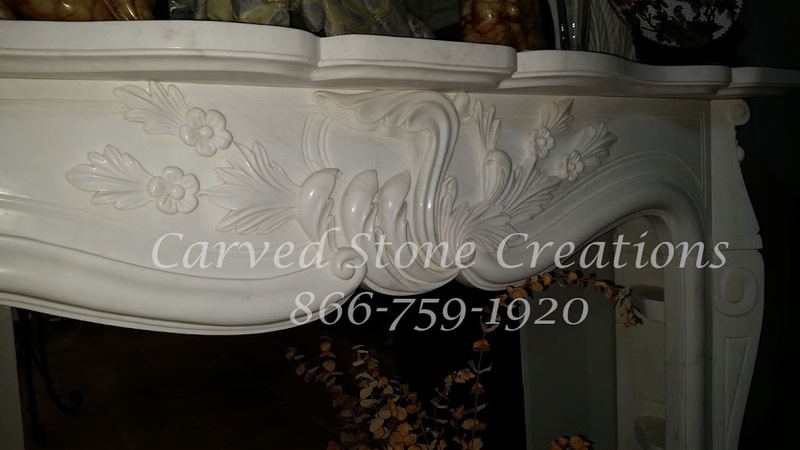 The white marble is adorned with a variety of botanical details, including acanthus leaves and lotus flowers. A skilled artisan carved this fireplace with care, so each piece is unique. 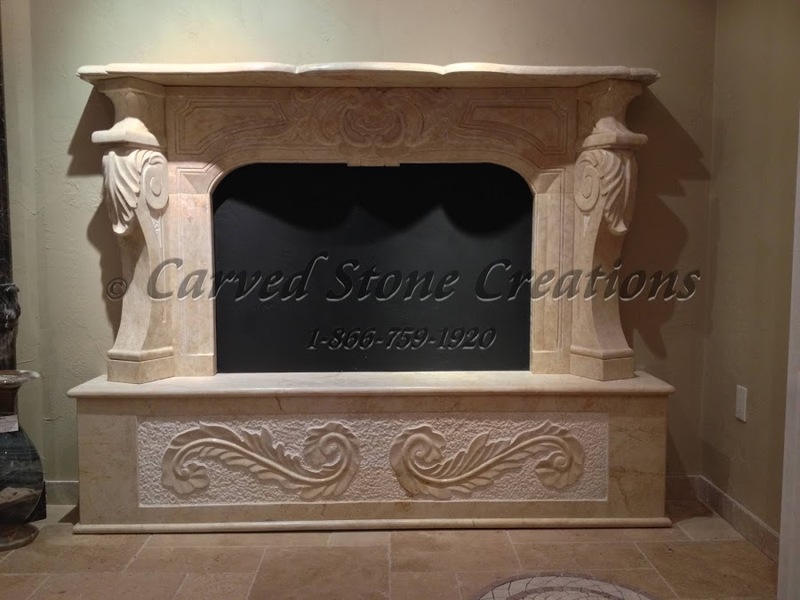 This French country-style fireplace surround is handcarved from Beige Venato marble. Every inch of the surround includes intricate details for a timeless design. 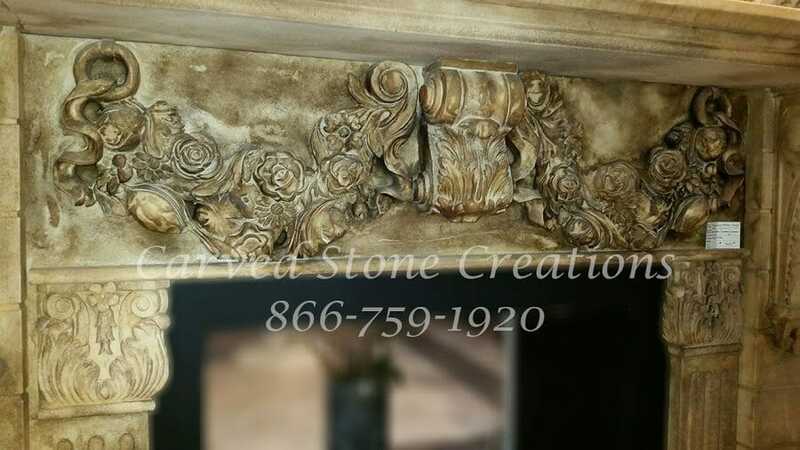 Elegant scrollwork and beautiful floral details accent the surround. 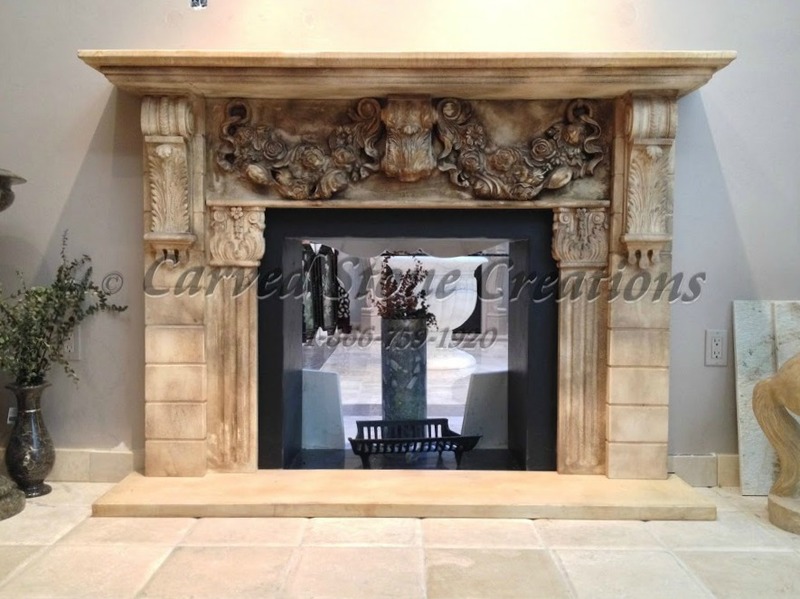 You dont have to search to see the intricate, handcarved details on this fireplace design! The garland of flowers swoops across the front of the fireplace and takes center stage. The garland, accented with large corbels on each side and Acanthus leaf carvings, makes this fireplace one of our favorite styles. Plus, the antiqued white marble adds dimension. Add this regal accent to your home! 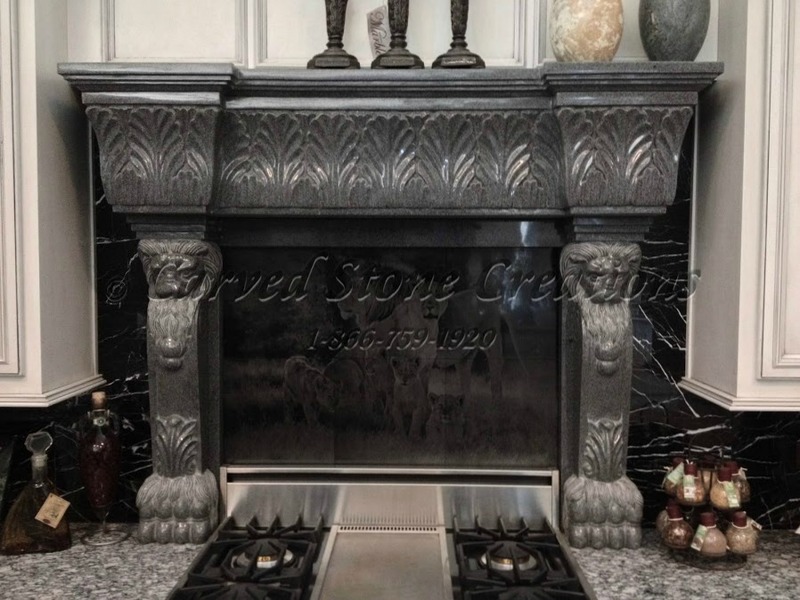 The high-shine of this polished Charcoal Grey granite fireplace brings out the stunning carved details. 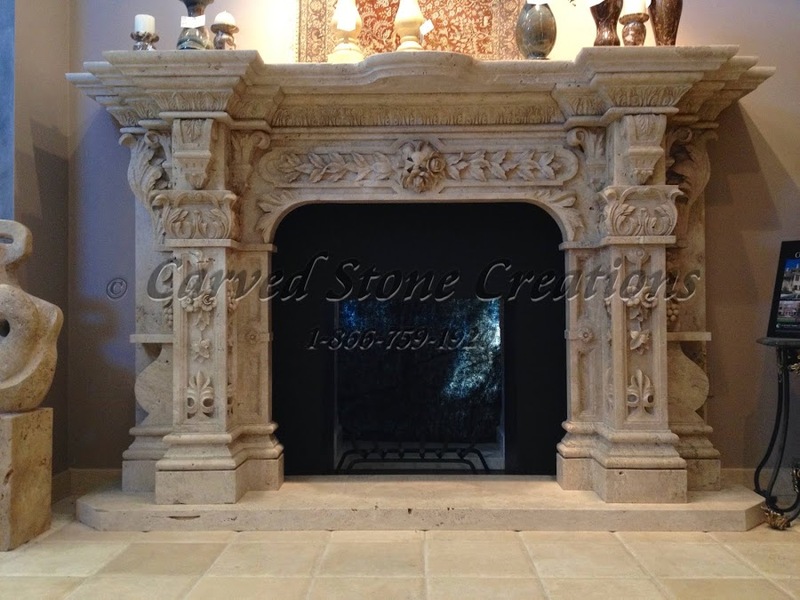 Each leg of the fireplace features a regal lion head carving. 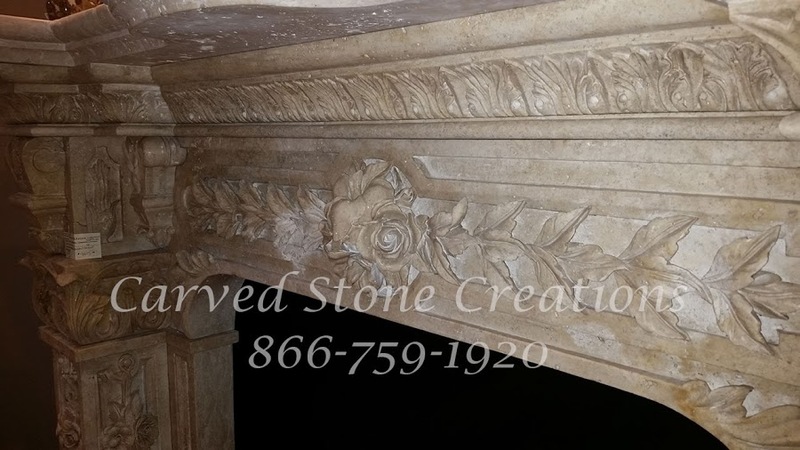 The mantle has Acanthus leaf carving accents to finish off this beautiful design. Are you ready to add a fireplace to your home? Get the design process started by downloading our free fireplace design guide!